Currently there are 16 released and three unreleased minigames and more are planned to be added soon. That's the API I'm using in all of my newer minigames. Of course you are free to use it too, be sure to drop me a message and I'll list your project here too. There's Arcade functionality already included which enables you to be able to play all minigames in one run, you just need to install MGArcade. I usually upload a new release on bukkitdev every 20-30 commits and sometimes they contain ciritical bugfixes. Here you can download these pre-releases while they're not on bukkitdev yet. You might want to turn off autoupdating in the MinigamesLib config if you use these builds. Kit Configuration: Coming soon. Just copy paste current kits and adjust them to your needs, if you want to disable a kit, add "enabled: false" to it. Links are pointing to the github repos where the projects aren't up on bukkitdev yet.
! means work in progress, x means not started/released yet. What does the MGLib Compatibility column mean? This means that the latest file is only compatible with the given version. All minigames built with this API will be automatically available in Arcade, which means you can play all of them in one run. Overall Customization/Attributes like player counts, countdowns, spawns, boundaries etc. I started redirecting people from MinigamesParty as I don't plan on doing big updates on MGParty anymore. It's an old idea/system I was using there, MinigamesLib is my new approach. So how does this new system work? As of v1.4 MySQL Support is fully functional, each minigame creates its own table and will save stats like points, wins and loses into these. To use MySQL enable it in the config.yml of each minigame you want and create a database called "mcminigames". Reload the server, done. People can now invite players to their party and join arenas together with their friends, just like many huge networks have these now. To change messages of the party commands take a look at partymessages.yml in the MinigamesLib directory. The main command is /party and shows all available subcommands with small descriptions. 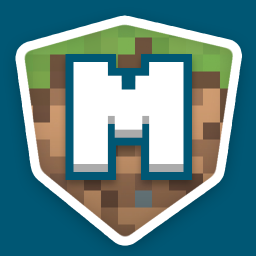 Contact me if you would like to help me out or join the MCMinigames Organisation on github. This plugin has an autoupdater included which you can turn off in the MinigamesLib config (auto-updating: false). Also, it utilizes Hidendra's Metrics system which sends information to his metrics server like java version, server version, plugin version, player count, OS version/name, Metrics version, which I can later look at and be happy with. Can also be turned off in the Metrics config which can be found at /plugins/PluginMetrics/ (opt-out: true). This is the only plugin having Metrics/Updater, all the minigames from above do not have stuff like that included. Please use the Forum to report any bugs or suggestions. When I delete a kit in classes.yml it comes right back when I rejoin the game. Yes I did Restart my server... I can not edit the classes because of that reason to and I do not want my players to use that kit. Please Fix this or tell me how to fix it my self. Email me at; MoltenCity.serv.nu@gmail.com Thank you! When will BedWars be released? Will it be 1.9? Admin should will add minigame mission kill monster , monster by plugin mythicmobs. Wow.. A waste of 3 days yet still no one decides to help for this plugin. I highly recommend not getting it as there are many bugs with signs. What are the sign permissions? Hello, im having a weird tree sappling bug when running MinigamesLib v1.13.1 for 1.8.1, sapplings are placed under planted trees after they grown, if that make explanaition make sense. Any ideas how to fix/get rid of this bug ? I am so hoping that bedwars gets complied one of these days I have been waiting for months on it. Any ideas? Ok, wait a second, why doesn't MGMobEscape work? Every time I try to make a main lobby, it says "An internal error occurred while attempting to perform this command" but I'm typing /etm setmainlobby??? Please help!! !